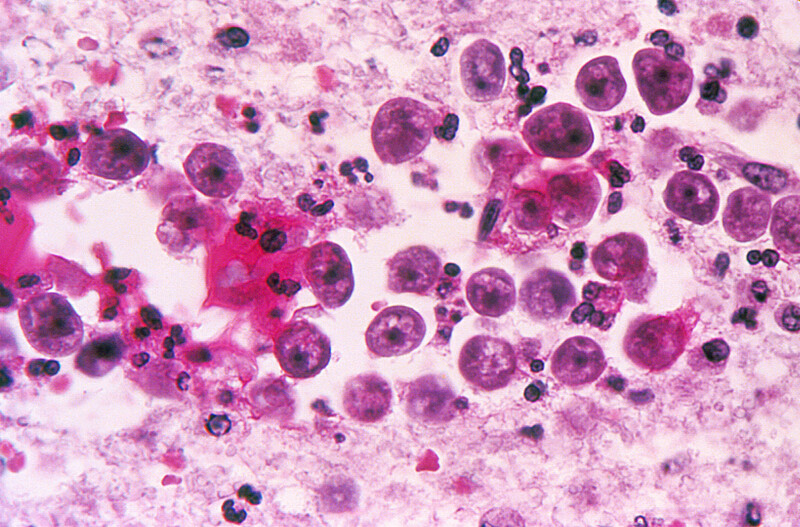 Naegleria fowleri infection of brain. The CDC confirmed today that a South Carolina resident recently contracted naegleria fowleri, often referred to as the “brain-eating amoeba” presumably while swimming in the Edisto River. Here are a few facts you should know, pulled from the CDCs general information page on this infection. -While this infection is very deadly, it is also exceptionally rare. The CDC has only documented 37 cases in the 10 years from 2006 to 2015. -Naegleria fowleri is commonly found in warm freshwater (lakes, rivers, hot springs, etc) and particularly in southern states although some cases have been documented up north. It can also show up in water heaters and poorly maintained pools with insufficient amounts of chlorine. It does not occur in salt water. -Infection cannot pass from one individual to another. Also, you cannot become infected by drinking contaminated water; however, infection can be caused by rinsing out your nose and sinuses with contaminated tap water. The CDC has instructions on how to safely use a neti pot or nasal rinse here (basically boil or filter first). -You can limit your chances of exposure by holding your nose closed or using nose clips when swimming in warm freshwater (particularly if you are jumping in feet first). Also, avoid stirring up sediment, soil, and mud in warm freshwater. -While this infection has a 97% fatality rate, a new drug seems to be effective against the infection. You should seek medical care immediately if you experience a sudden onset of fever, headache, stiff neck, and vomiting, particularly if you have been in warm freshwater recently.